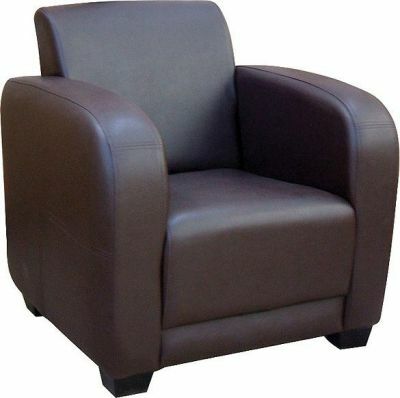 If you are looking for a comfortable armchair in a professional high quality finish the we highly recommend this chair! Beautifully finished in real Brown Leather with all over padding for increased comfort on a daily basis. Excellent value contract grade arm chair upholstered in quality leather. The chair features an interesting design with strong curved arms and a padded square back. A quick delivery is included with this item.